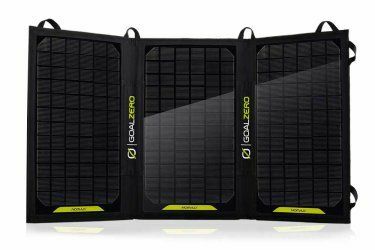 GOAL ZERO is an innovator of easy-to-use portable solar power products. 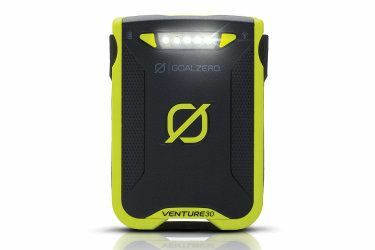 You can charge or Power almost anything from sun: phones, laptops, lights, refrigerators with our GoalZero products. GOAL ZERO”s equipment keeps me connected and safe in Afghanistan. Keeping our laptops, video equipment, and phones connected while we are working in areas without electricity for extended periods is a real lifeline. The estrella lights and power packs are helping out rural communities for nighttime midwife deliveries, saving lives! This year it also kept us powered up while I became the first woman to cycle across Panjshir Valley. I’m so honored to be part of the GOAL ZERO Adventure Team! It has been a blessing to have Goal Zero powering my hike across America. My Sherpa powers my ipad, 2 iphones, laptop and my hero cams so that I can stay in touch with the world and document my journey. We are the first cross-country walkers to go completely green and Goal Zero is the reason behind it all. Just last week we were in the middle of the Mojave Desert skyping into National news while charging!!!! I’ve been using GOAL0 since the very beginning and they haven’t let me down. My new love is the 7m solar panel. I’ve used it car camping with the kids and on long hikes/snowshoe trips. Love the packability of the products. Used the LED lights/Sherpa 50 to film some night ice climbing and the 27w solar panel with my Sherpa 50 for longer treks. High quality, lightweight products with great customer service. For more GoalZero solutions, click here.